Elegant Masquerade: Mardi Gras is Feb. 2-Mar 5, 2019! Elegant Masquerade Mardi Gras Celebrations: Mardi Gras is Feb. 2-Mar 5, 2019! Looking for something Elegant to wear to Your Masquerade Ball? Look no further! 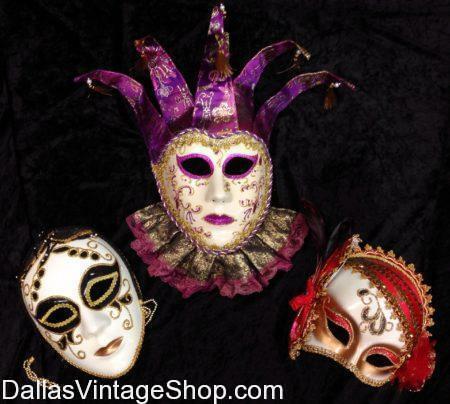 There are many Elaborate Mardi Gras Mask choices at Dallas Vintage Shop for Masquerade Balls or Mardi Gras.